The Stichting Atlantikwall Museum Scheveningen can add a new bunker to their list. The location at the Badhuisweg (Scheveningen/The Hague) becomes something of a museum park now. The bunker is a Regelbau 622 was part of Wn 318, which housed the Waffen-SS Verteidigungsstab of the Stützpunktgruppe Scheveningen. The local government gave permission to dig up the bunker. It proved to be a hard job, as the entrance side of the bunker was filled with tons of concrete pieces. 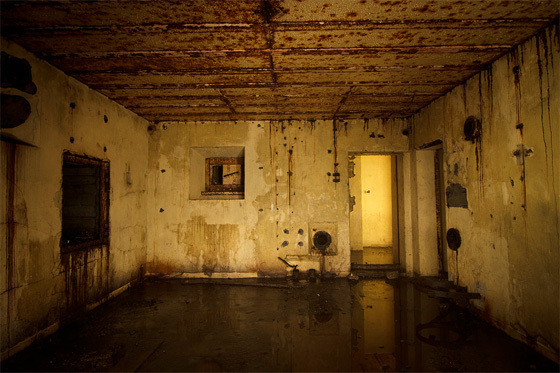 Plans are to leave one of the rooms as it is now, to show how a bunker looks like after decades under the ground. The other room will be used for exhibitions. The bunker will be linked to the Regelbau 608 headquarters, which has been a museum for some years now.